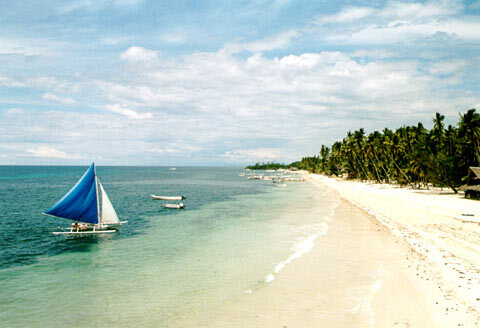 The palau (traditional Filipino sailing boat) Sugar Brown Reggae on Alona Beach. For a small fee, you can join captain Charly on a nice sailing trip to one of the neighboring islands, such as Pamilacan or Balicasag Island, or go for a romantic moon-lit sailing trip at night. Based on the rating of 277 users. This picture has been viewed 119 times.